The AUSM4 90 Degree Side Body Antenna Mount. A no non-sense a basic L bracket CB antenna mount. The AUSM4 antenna mount is the type of mount that can bolted or screwed onto any flat vertical surface such as the side or back of a vehicle, tool box, bumper, etc. 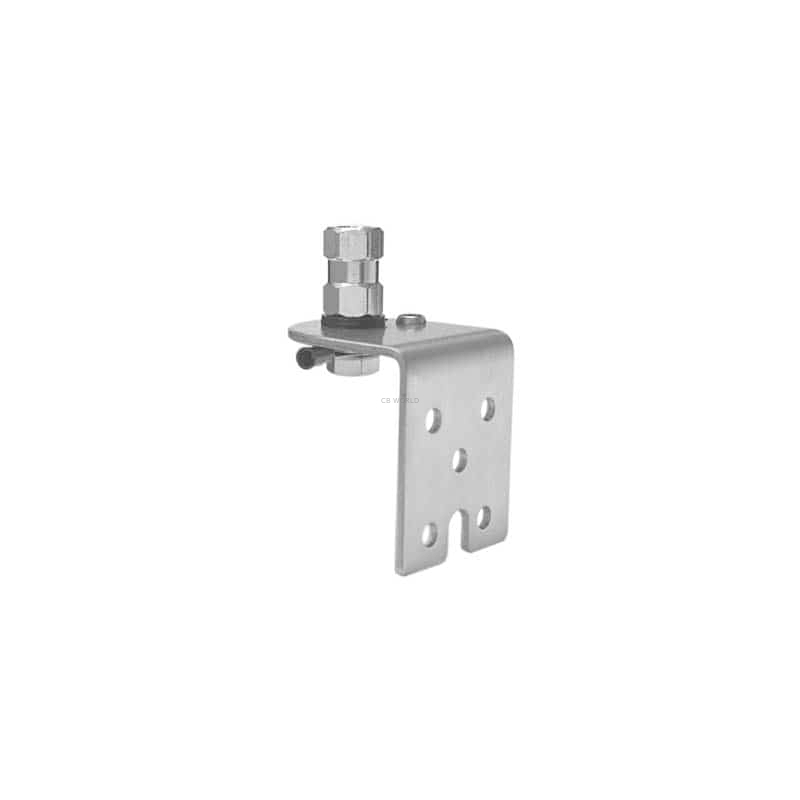 The AUSM4 90 degree side mount is all stainless steel and includes a 3/8" x 24 threaded stud. If you have a flat surface and need to mount a CB, amateur, scanner or similar antenna the KSM4 from Accessories Unlimited it the work horse of 90 degree side mounts. Get yours now at CB World! How and where this mount is attached determines how large of a CB antenna you can put on it. If it is mounted to a strong surface with several bolts/screws it can hold a 5 foot antenna. This mount accepts 3/8 x 24 threaded CB antennas. A CB antenna spring is recommended for this mount. A CB coax with lug connectors (hoop connectors) is recommended for this mount. For an easier install, CB World recommends a Firestik CB antenna coax.